1. 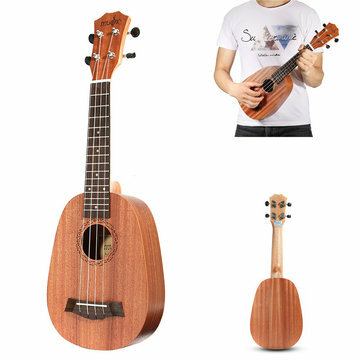 21 inch ukulele, design in small size, suitable for child, girls or ukulele beginners. 2. 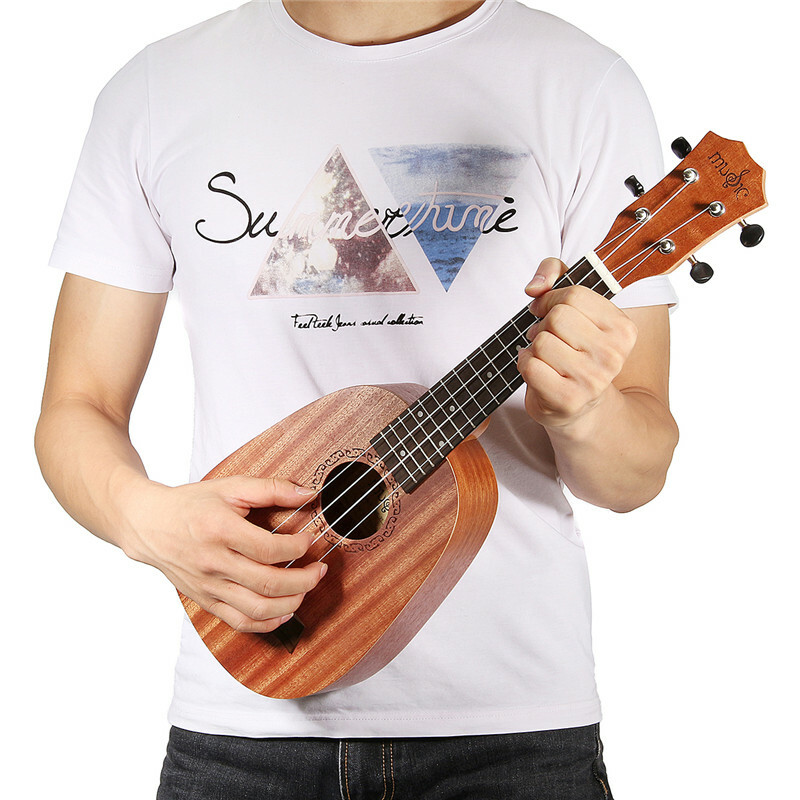 With only 4 nylon strings, make it easier learning than guitar. 3. 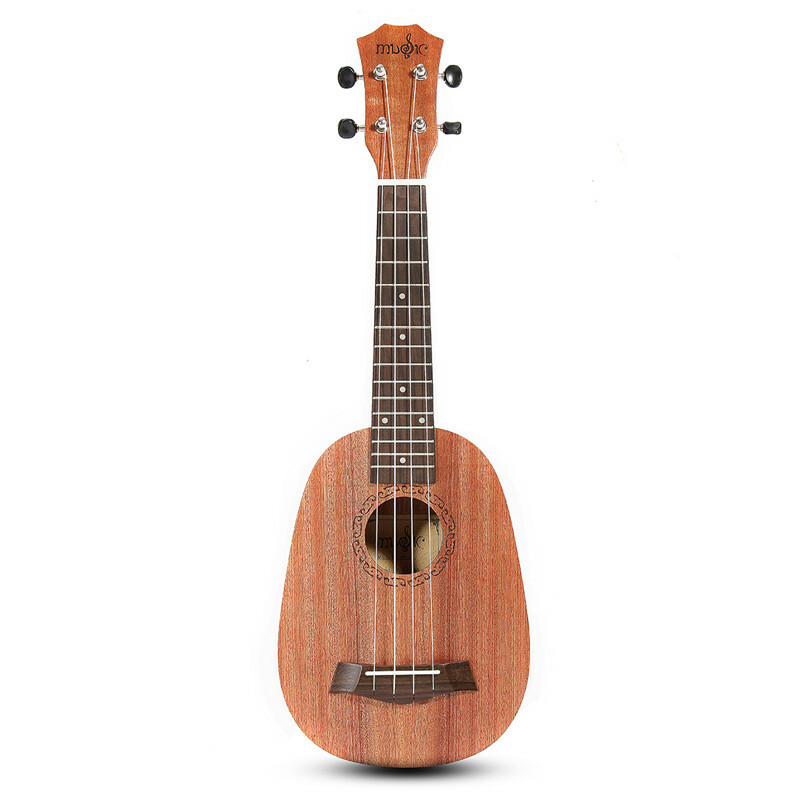 Using mahogany material, makes the sound clear and crisp. 4. 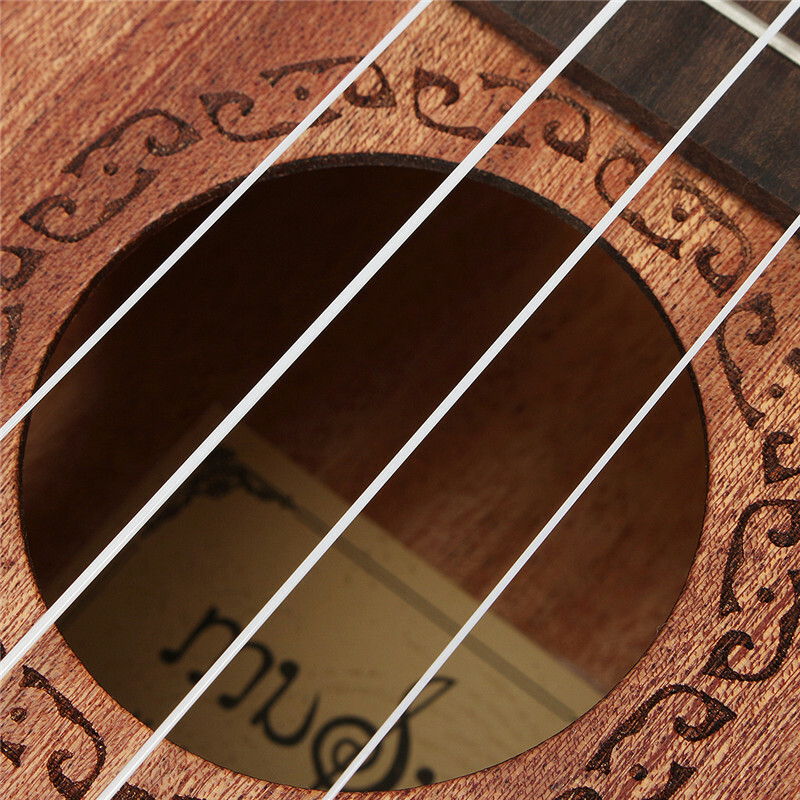 15 frets on the rosewood fingerboard, silver points is added on the it for recognization while playing. 5. Hand curvature is fit for hands and comfortable while pressing the silk. 6. Designed in pinapple shape, looks cute and exquite. instrumento dentro do esperado. chegou direitinho dentro do prazo. Produto bom, excelente para quem esta aprendendo, som agradável, preço justo e entrega rápida.